Advance Tech began serving central Florida in 1996. Our primary service area encompasses south Lake and western Orange County. We specialize in lawn and ornamental, structural and termite pest management. Complimenting our many years of experience and education, we choose to utilize only the finest, safest and most effective methodology available to provide the best service obtainable. At Advance Tech Pest Management our goal is to educate, inform and assist the consumer in making confident and proper decisions regarding their pest management needs. Central Florida is a pest Mecca. Our seasons and climate are extraordinarily conducive to pest growth and development.That is precisely why there are so many pest control companies around. But what is the difference between companies? There are certainly some very good companies locally, but there are also many to avoid. We are locally owned. Our owner (Greg Amann) was born and raised in Clermont. He knows the area and the pest issues. Greg lives here because he wants to... not because some out-of-touch corporate manager sent him here. All of our service professionals also reside in this immediate area. 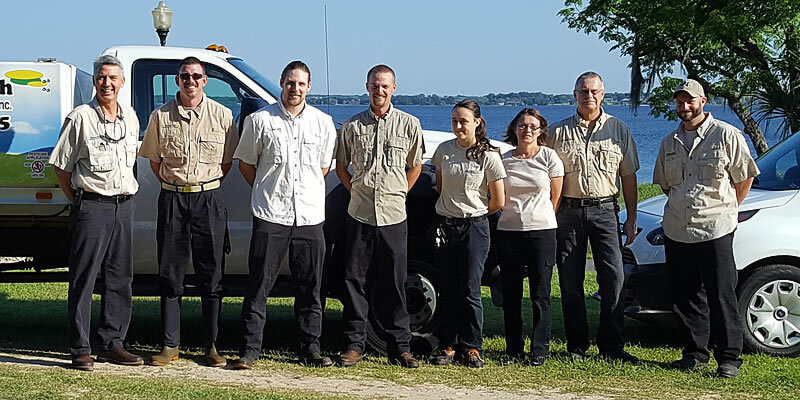 Our on-staff Entomologist is in the field every day assisting both homeowners and the service technicians in problem solving, treatment schemes and product evaluations. We are not revenue driven. Most of the larger national or regional companies are only in business for one reason: to make BIG profits. Of course we want and need to be profitable -- but not at the expense of quality service. With the exception of termite control (in Florida written / signed contracts are required for all termite control work) we do not require written contracts. At Advance Tech, verbal agreements have always sufficed: If customers are not completely satisfied, they may cancel their service at any time. We are polite, professional, and on time; and our services are very effective. That makes choosing easy! Thanks for your interest in Advance Tech Pest Management. We hope to hear from you soon!